NO LIMMITS" LOUNGE & CLUB is, Located in the Heart Of the City Bangalore!! Opposite to Garuda Mall on Magrath Road, No Limits Lounge & Club is Considered To be the Hot spot “Party Hub” In the Town. Its motto is ‘One people. One tribe. One zone’. The interiors are classy with small LED lights running all over the ceiling. The place sets no limits for your expectations and it promises to deliver. 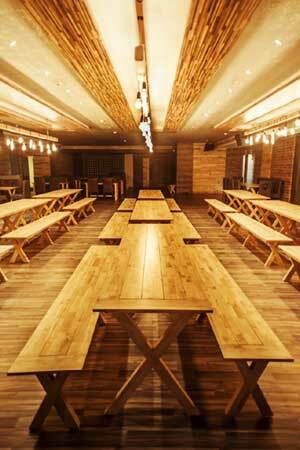 It includes a big dance floor and large seating capacity. A DJ playing tunes to which the crowd can sing along keeps the adrenaline pumping. Loved this place. 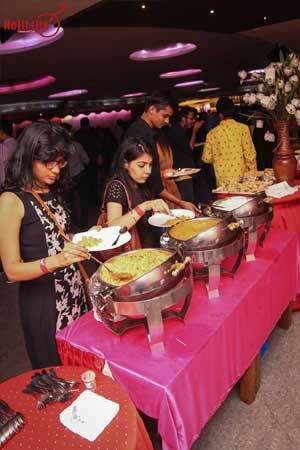 Be it the food the ambience the energy of the crowd or the awesome DJs they have its a great place to have a blast. While you are there don't miss the BBQ chicken wings. Came here on a weekday, the place was pretty empty, but i found their food really good. It had an offer of 1+1iWhich was decent enough. The music was a bit loud. Otherwise its a good place to dance they have a big dance floor. We had visited this place on a saturday night. It was bollywood night , and crowded like hell. We had prior booking, hence we got a good seat. The DJ was good, the song selections were good, best part was the entry of Dhol walas, and we all danced to Bhangra tunes. If you're in Bangalore on 31st Dec night, this the place where you have to be!! Awesome crowd, unbeatable DJ, rocking stage shows and ofcourse patient staff and other event organisers, Rockd it!! Had an awesome time here with my friends and dancing to the music of LIVE DJ and dhol. The crowd was good. Drinks a little too expensive but at the end of the night it was good experience.